Members of Port Orchard Rotary have fun volunteering! 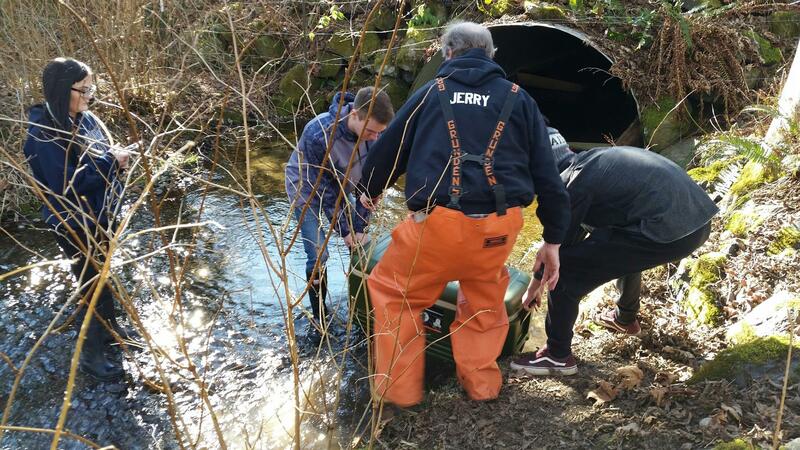 Our club in conjunction with the Discovery high school kids released 35,000 chum salmon fry into Beaver Creek on Monday 4 March. I met the students at our Karcher Creek hatchery at 1:30pm. IWe were at the main gate Fuel Depot between 2 - 2:15pm. We released an additional 35,000 chum fry into Beaver Creek on Tuesday 5 March. This release was not on the Fuel Depot, but on a private farm further up the road. The complete photo album can be viewed here. Today we hear from the Public Information Officer for Kitsap Transit on developments in the fast ferry program. In 2016, the voters of Kitsap County passed Kitsap Transit's sales-tax measure, which added three-tenths of 1 percent to the local sales tax to support a new passenger-only ferry service to Seattle from Bremerton, Kingston, and Southworth. 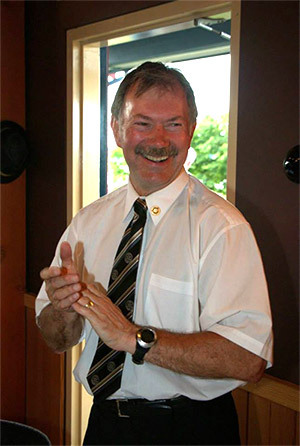 District Governor, Craig Gillis, will meet with Port Orchard Rotary Board August 21st at 8:30 AM at the Whiskey Gulch Coffee Shop (immediately after the regular meeting). The motivating theme this year is Be the Inspiration. Craig writes: "Through our collaborative efforts 'we' will leave a deep and sustainable imprint on the lives of others. When we give to our foundation we create opportunities to aid others who don't share the privileges we know as citizens of first world countries." 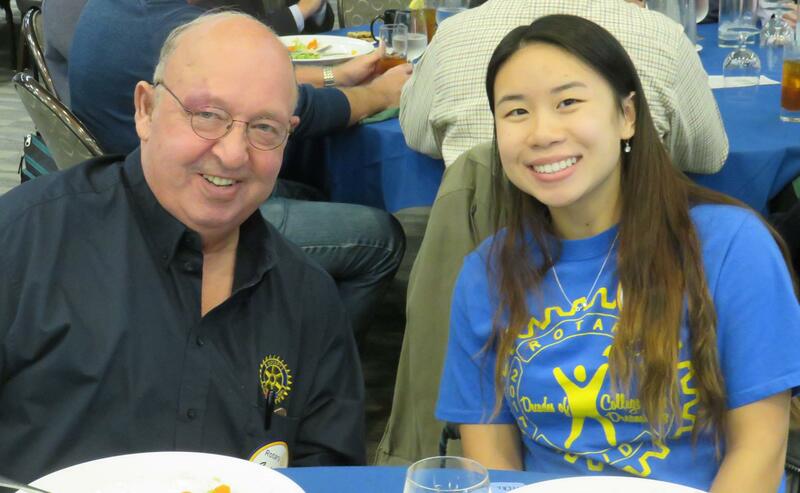 Port Orchard Rotary, in partnership with neighboring clubs, will support and strengthen our clubs and membership, focus and increase our humanitarian service, and enhance public image and awareness. Together, we will make it our mission to Be the Inspiration. A DAY WITH BOB AND CHRIS CAIRNS ON THEIR ROTARY WATER PROJECT VENTURE IN KENYA---JOIN THEM ON A TYPICAL DAY OF A ROTARIAN---WITH THE OBJECTIVE OF SERVICE ABOVE SELF. 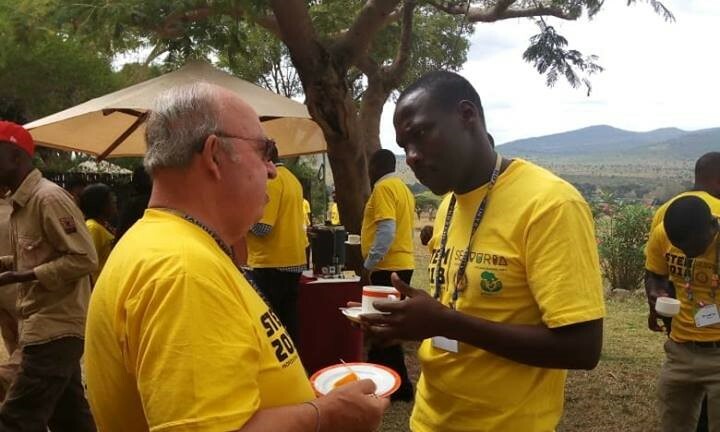 Port Orchard Rotary's Bob Cairns speaks with Kevin Losute of Hifadhi Africa. Africa's Taita Taveta based #STEM teachers' training. Bob Cairns from Port Orchard regularly attends our monthly Rotary Water Committee (when he and his wife are not in Africa) and their Club supports our Cool Jazz Event. Bob's diary message of his current experience in Kenya is consistent with our own experiences in Kenya, Malawi, Tanzania, Honduras, and PNG. There is a challenge of helping those that need Rotary's help in helping those below the "governments help". We can all understand that. Our work as Rotarian is challenging, and not always easy. But it is needed. Rotary is a "world wide organization". Our Rotary Club supports the community, the State, and the world needs. Remember the Four Way Test. Our nine Clubs, plus Centralia and Port Orchard Clubs meet monthly at our Water Committee Meeting and jointly address these issues and give money and encouragement to the Rotarian leading the project. Come join us at our monthly meeting, or at least support the Cool Jazz Clean Water Wine Tasting Event on November 17 to help raise money for both local and international projects. Service Above Self is the key words. A Trip to Kenya with Rotarian Bob Cairns and wife Chris-----Read and appreciate your life in the USA and your role as a Rotarian when you support The Thurston County Washington --Cool Jazz and Clean Water Wine tasting this fall. You are doing good!!! It was rise and shine at 5 AM this morning. Part 1, Baringo and Nairobi, is over. We now start Part II of our work in Africa. We are part of a 12 person team providing STEM education to around 100 teachers. We had to get up early to insure that we got on the 08:00 high speed train from Nairobi to Mombasa. I am typing this as we are waiting in our seats waiting for the train to depart. More about the train later. We checked out of our hotel in Kabarnet and headed for Nairobi. Our meeting with a 3rd elected official from Silale did not happen. He was not available. But Collins has done an amazing thing by getting the Pokot elite together. Collin’s meeting has set up a network and working group for the Pokot people in Baringo County. I have seen several emails where they are communicating about their people.